Function First has been serving the San Diego community since 1994. Located in Mission Hills, our internationally recognized exercise studio is renowned for our unique, effective and non-invasive corrective exercise programs designed to address chronic pain and musculoskeletal limitations without drugs or manipulation. In 2009, we expanded our services to personal, semi-private and small group fitness training. Through referral and by excellent reputation in the community, we have been named one of the San Diego Union Tribune's Best of for the category of Best Personal Trainer/Studio, voted San Diego’s Best Alternative Exercise Studio in 2011, and San Diego’s Best Health & Fitness Club in 2012 and 2014. Our goal is to empower you to feel, move, and perform better in a life without physical limitations. At Function First we passionate about contributing to your journey. Our mission is personal; to ignite your passion so you learn how to change your life through movement. Function First will redefine what exercise means to YOU. Function First continues to learn and grow as the science evolves, building upon our 24 year history of helping people from around the world live a pain-free life. Our philosophy is simple; meeting you where you need to be met both physically and emotionally. We tailor our exercise programs based off not only your physical goal and capabilities, but also your preference for movement. We believe there is nothing worse in an exercise program than making someone do something they absolutely dread or fear, regardless of how beneficial we believe it is. Pain is a complex experience and it affects everyone differently. As such, we listen first and move second. First and foremost, we are movement coaches. However, movement for the chronic pain sufferer is more than motion. It must be strategic, efficient, non-provocative and confidence building. 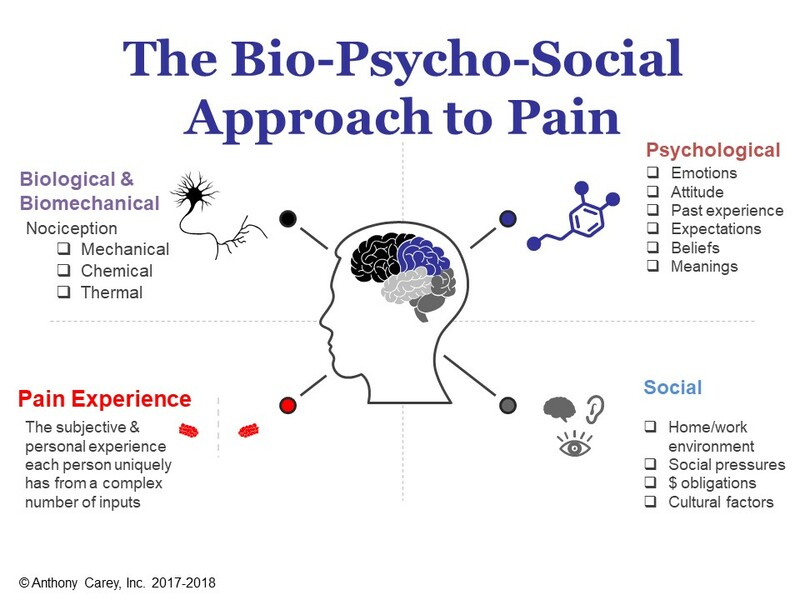 As such, we follow the current body of research that views pain from a bio-psycho-social paradigm. Your success is dependent upon many things. Our responsibility is to provide you with the best possible exercise program for your situation and educate you on the science behind pain and what tools you have at your exposure to make the progress you desire.